The psych sheets for next weekend’s US Winter National Championships in Greensboro, North Carolina have been released. The meet, as expected, lacks its usual depth of collegiate swimmers, mostly because it’s being swum in long course meters, which can’t be used for NCAA Championships qualifying. 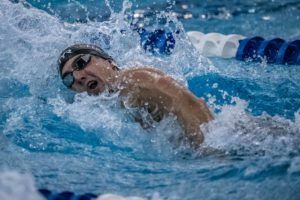 On the other hand, it is the first major long course meet after the opening of the 2020 US Olympic Trials qualifying period, which took a different pattern this year. Usually, qualifying is available at US Nationals 2 years before Trials; this year, USA Swimming, as part of its efforts to decrease the size of the meet, won’t open qualifying until November 28th. See the 2020 Olympic Trials qualifying standards here. The meet will include most of the usual post-graduate suspects for the Americans, including names like Olympic gold medalists Katie Ledecky, Simone Manuel, and Nathan Adrian. 5-time Olympic gold medalist Dana Vollmeris also scheduled to race the 100 free and 100 fly after skipping the summer’s US Nationals and Pan Pac Championship Trials. Other Olympic medalists like Chase Kalisz and Cody Miller are scheduled to attend as well. Open water and pool distance dual threat Jordan Wilimovsky, the 2015 World Champion in the 10k and the 2018 Pan Pacs champion in both the 10k and 1500 free, will also race; so too will Ashley Twichell, one of the country’s top female open water swimmers. Hali Flickinger, who had a breakout summer that included a US Open Record in the 200 fly, is also scheduled to attend. Among the names missing from the psych sheets is American superstar Caeleb Dressel, who like the rest of the World Championships team (Michael Andrew, Kathleen Baker, Leah Smith) isn’t entered at the meet. Missy Franklin, who made her comeback after repeated health problems this summer, is also not entered. 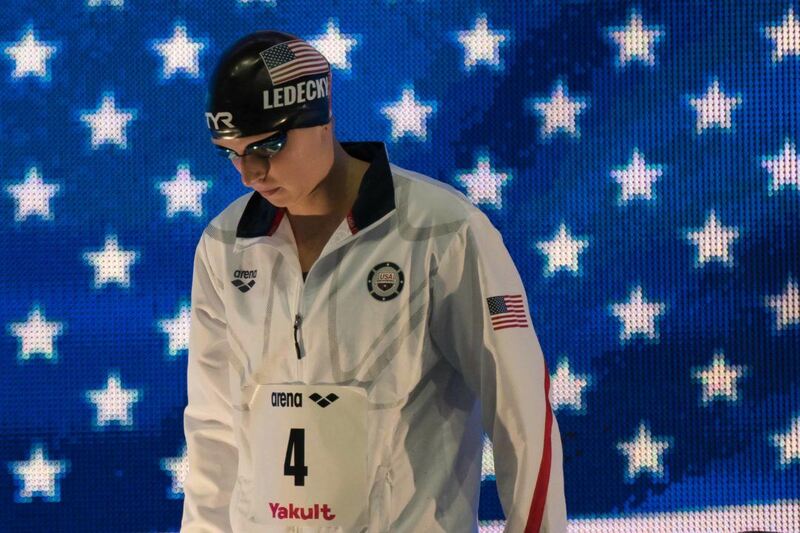 Madisyn Cox will swim her first long course meet since January after returning from a 6-month doping suspension at a local yards meet in Austin 2 weeks ago. There are some interesting international participants scheduled for this meet as well. Coming south from Canada will be Kylie Masse, who had her World Record taken by American Kathleen Baker this summer (though Baker won’t be at the meet for the battle). She’ll be joined by fellow Canadians including the country’s newest National Record holder Markus Thormeyer, Kelsey Wog, Erika Seltenreich-Hodgson, and Rebecca Smith are also scheduled to attend from Canada’s elite ranks. From elsewhere in the Commonwealth, the NCAA’s newest sprint sensation Anna Hopkin of Arkansas will race too. 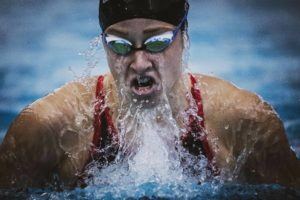 She represents Britain internationally, but will swim 2 years at Arkansas. Ohio State’s Meg Bailey, and American-turned-New Zealander Ali Galyer will also swim. Like Hopkin, the majority of the non-Canadians entered in the meet are bassed out of American universities, either as undergraduates or post-graduates. That includes names like Anton Ipsen, a Danish native who won the NCAA title last year in the 1650 free at NC State. Isn’t this meet usually SCY? Yes, but it’s the first meet to where swimmers can reach their Olympic trial cuts. Don’t see Claire Tuggle, but will be interesting to watch 13 years old Erin Gemmell if she breaks 2 min in 200 free. 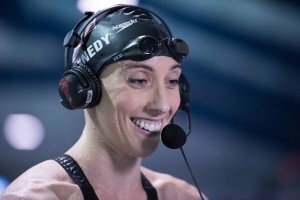 Has Ledecky given up on the idea of 400IM? I think the Clovis team is swimming at an invitational up in Federal Way, WA (short course). Tuggle hasn’t been active at any other meets this fall, so I assume we might see something from her up there? Missy needs to announce her retirement. What for? What will she gain by doing that? Do we know she hasn’t been training? Even if she hasn’t, if Speedo are bound to pay her whether she trains or not, why formally retire and cost herself money? If you are going to look at it from a sponsorship perspective, is she marketable as an inactive and/or retired swimmer? I doubt she’s delaying a retirement to keep collecting checks from Speedo, but one has to wonder if Speedo is benefiting from that relationship given her inactivity these past couple of years. Almost certainly not, and if she is still being paid I’m sure Speedo HQ wouldn’t sign the deal with hindsight, but you can’t just unwind a contract because it hasn’t panned our commercially.